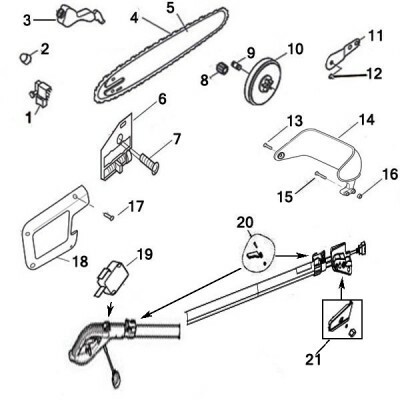 Enter the Qty of parts needed, then add to cart at bottom of the list. For detailed information and larger pictures of the parts listed above, please click on the picture of the part !! RM1025SPS / 41AZ33PC983 Remington Ranger polesaw parts list and replacement parts that fit Remington polesaws made by MTD.